Berkshire Hathaway: Who is Ajit Jain and why Warren Buffett admires him! Though it's almost sure Warren Buffett's son Howard Buffett will succeed him as Berkshire Hathaway chairman, there is a tough competition between Abel and Jain for the number two position. Ever since Berkshire Hathaway chairman and one of richest men on earth, Warren Buffett, named Ajit Jain, 66, and Gregory Abel, 55, as the vice-chairs of over $620.8 billion conglomerate, there's speculation that India-born star executive could be the billionaire's favourite choice for the chief executive officer (CEO) position in the coveted company. There are strong reasons to believe: Warren Buffett thinks the company's future CEOs should have at least worked for over 10 years in Berkshire Hathaway - Ajit Jain has been working with Berkshire for past three decades and has taken it to impregnable heights - and Buffett speaks very highly of Jain; he once told his employees they could even "swap me for Jain". Though it's almost sure Warren Buffett's son Howard Buffett will succeed him as Berkshire Hathaway chairman, there is a tough competition between Abel and Jain for the number two position. Both have worked exceptionally well in their domains, but Jain, many believe, outweighs Abel in his 31-year experience with the 'Oracle of Omaha' as compared to Gregory's 25 years. Abel and Jain were both named as vice-chairs of noninsurance and insurance operations, respectively, on Wednesday. 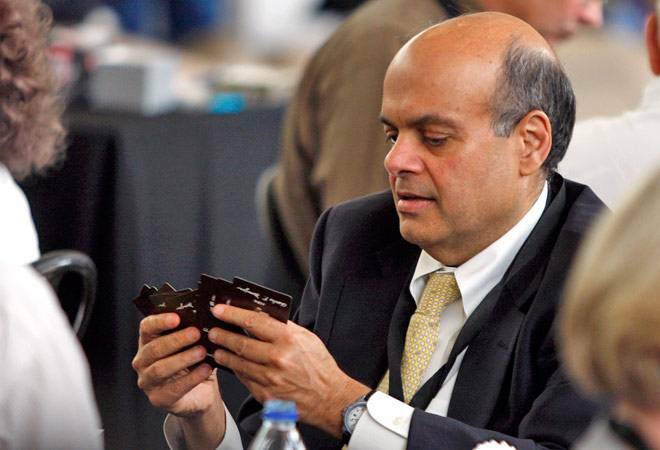 Odisha-born Ajit Jain is an alumnus of IIT-Kharagpur. He did his MBA from Harvard University in 1978. In his professional life, he has worked with giants like IBM, McKinsey & Co, apart from Berkshire Hathaway with which he's been working since 1986. Warren Buffett's star executive handles several reinsurance businesses in the billion dollar company. Former Co-CEO of Deutsche Bank, Anshu Jain, is Ajit Jain's cousin. There's little doubt that Warren Buffett trusts Jain the most. Buffett, on several occasions, has openly praised Ajit Jain for his ability to handle critical operations with "capacity, speed and decisiveness", and credited him for creating several billion dollar value for the Berkshire shareholders. In his annual letter to the company in 2017, Warren Buffett had said: "Ajit has created tens of billions of value for Berkshire shareholders. If there were ever to be another Ajit and you could swap me for him, don't hesitate. Make the trade!" According to ET, Buffett, who was very impressed with Jain's work, had once even written to his parents asking whether they have one more Ajit, praising Jain for "unique brain for insurance business". "From a standing start in 1985, Ajit has created an insurance business with float of $37 billion and a large cumulative underwriting profit, a feat no other insurance CEO has come close to matching. Ajit's mind is an idea factory that is always looking for more lines of business he can add to his current assortment," Buffett had said in 2014. What makes Jain fit for CEO position? In 2014, Buffett said he and his 94-year-old partner Charlie Munger had a name in mind. He said "our future CEOs should come from internal candidates whom the Berkshire board has grown to know well". Buffett think Berkshire Hathaway would "operate best if its CEOs average well over ten years at the helm". He said these factors were important for Berkshire's business acquisitions and investment moves. "Both the board and I believe we now have the right person to succeed me as CEO - a successor ready to assume the job the day after I die or step down. In certain important respects, this person will do a better job than I am doing," he said in his annual company letter. One thing is obvious that Buffett wants his future CEO to be motivated by passion, not money. According to CNBC, his successor would be "somebody that's ... already very rich" and would be working with Berkshire Hathaway for quite a long time. His statement also makes it clear that Buffett is not looking for someone outside the company but within his multi-billion empire. So if the billionaire's statements are anything to go by, he seems to have made up his mind about Jain, though it remains to be seen what the board of company directors decides in future.